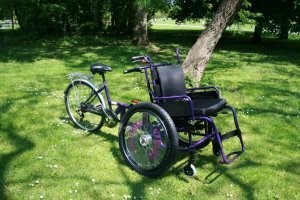 There are a range of adapted bikes available across Derbyshire. Below is a list along with pictures and where you can find them. If you're not sure which bike is best suited then just get in touch with one of the Inclusive Cycling Hubs. 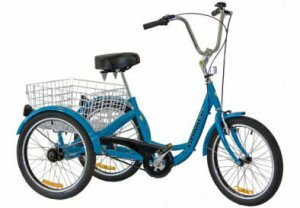 Wheelchair Ramp Bike: The front of the cycle is a ramp platform allowing a manual wheelchair to be pushed onto the ramp and harnessed. Suitable for non-power assisted wheelchairs Carsington Water, Chesterfield, Derby. Side by Side 3 Wheeler'Fun to Go: Controls for steering and breaking are right hand side to ensure security. Carsington Water, Derby, Rosliston and the Outlook Centre in Long Eaton. 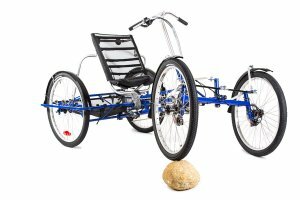 Roam: 4 wheel 2 seats, suitable for those with balance difficulties. Derby, Chesterfield and Rosliston. 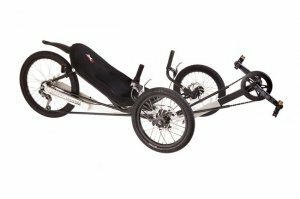 Hand Cycle: Stable and manoeuvrable and totally adjustable, it's perfect for children and safe for even the first-time handcyclist. The trouble-free 7-speed hub, with reverse braking, means your hands never have to leave the pedals. Chesterfield, Derby, Parsley Hay and the Outlook Centre in Long Eaton. 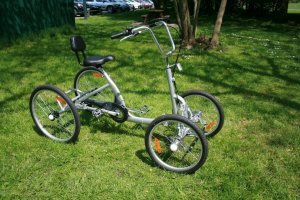 Low Rider Trike: Has a low riding position with a wide supportive seat, the low centre of gravity gives greater stability. Chesterfield, Derby and the Outlook Centre in Long Eaton. 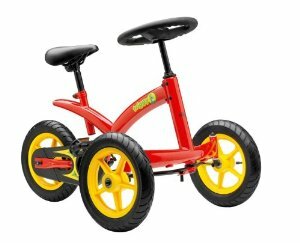 KMX Kart Trike: A bike that is great fun to ride for children and young adults. Chesterfield, Derby. 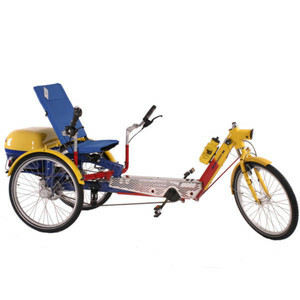 Wheel Easy: Individuals are able to sit in the front attached chair whilst their carer pedals and steers from the back. Ashbourne, Chesterfield, Derby, Parsley Hay. 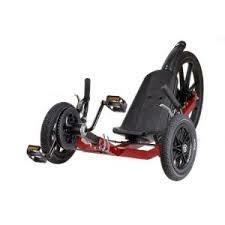 Trikes: 3 wheel, suitable for those with balance difficulties. Derby, Rosliston and Parsley Hay. 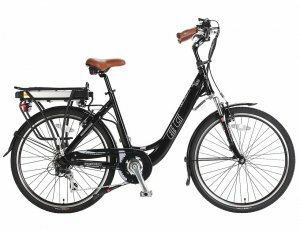 Electric Bike: ideal for those who struggle to ride a normal bike or keep up with others. 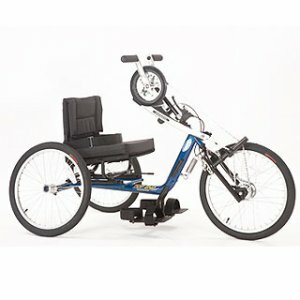 The electric motor assists as you pedal along; available to those aged 16 and over. Carsington Water. 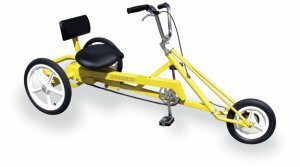 'Draisin' Trike: Great for people with balance issues. Available at Chesterfield. 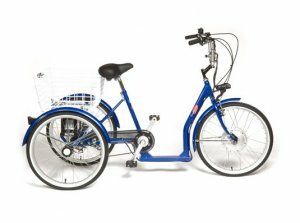 Tandem: great for people who want to cycle for others and perhaps lack confidence to ride on their own. Available at Rosliston Forestry Centre.